For most investors, there are certain stocks are more exciting than others. Big dreamers often hitch their wagons to up & coming technologies, like blockchain and AI industries. However, telecom stocks may be a more reliable investment, but determining which are the best telecom stocks to buy is not an easy task. 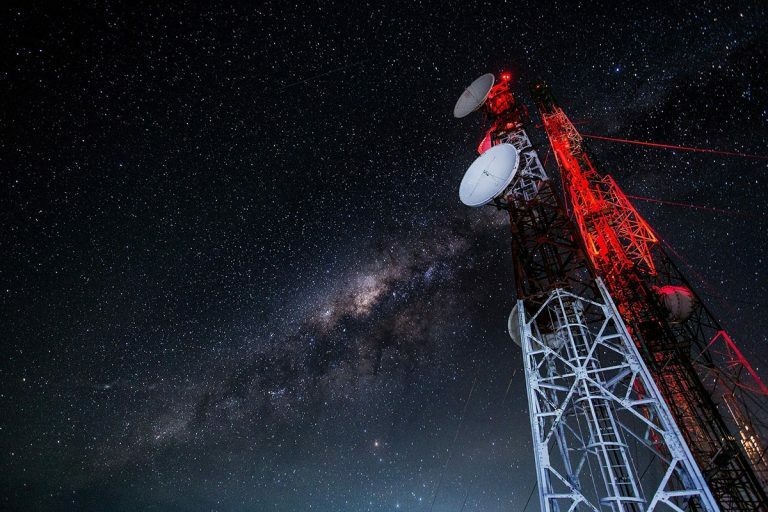 We wanted to help, so we’re bringing you our picks for the best telecom stocks to watch in 2019. Telecom stocks involve companies that provide the global communication network we rely upon. Telecom stocks have exciting prospects for scalability and growth. The landline telephone was cutting-edge technology 100 years ago. These days, companies are developing 5G wireless broadband service that provides fiber-optic speeds on any mobile device. The industry has come a long way since the invention of the telephone. The telecoms industry plays a vital role in maintaining vast communication networks across the globe. People everywhere rely on this industry to do business, stay in touch with loved ones, shop from home, and more. Despite the sell-off that plagued the equity market during the last quarter of 2018, the outlook 2019 remain hopeful for markets. 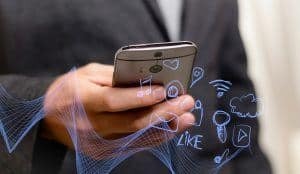 B2B telecommunication CAGR (compound annual growth rate) is expected to stay at 13.6% through 2026, and 5G wireless access is set to become available to the masses within the next ten years. There is plenty of room for the telecommunication industry to grow. ( NYSE: S ) While Sprint is often criticized for its poor mobile service, the stock has some interesting potential. After undergoing a long downtrend, the stock seems to have bottomed last April. Since then, Sprint has quietly shifted gears and began a subtle, timid uptrend. Many investors are hoping the stock price sees a pop when if the merger with T-Mobile ( NASDAQ: TMUS ) goes through. Sprint’s stock seems to be on the precipice of a big move, one way or the other. However, this stock has a ridiculous PE ratio of over 80! The industry average is about 16. Plus, the stock pays no dividend so, if you can’t cash in on a move in the stock price, there’s no reason to hold this stock. ( NYSE: T) AT&T has been plagued by bad acquisitions over the past few years. DIRECTV and AOL-Time Warner have been big headaches for the company. Many of the companies businesses, like landline phone and satellite TV, are basically doomed. However, AT&T has the scale to last over the long-term. It’s trading at only 10 times earnings, so it’s hard to imagine this stock being beaten up much more. 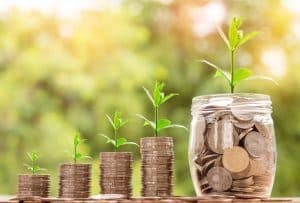 If you can hold it for the dividend, you’ll investment will yield over 6 percent annually on the dividend payment alone. AT&T has been beaten down but it’s far from dead. The company isn’t going anywhere and it can only go up from here. ( NYSE: VZ ) Verizon is one of the leading providers of mobile service. In addition to its wireless division, the company provides fiber-optic services under their FIOS product line. The company has been steadily investing in 5G infrastructure in preparation for the implementation of 5G wireless technology. The stock is extremely steady, and it pays a decent dividend that yields about 4.3 percent. This is an investment-quality stock that you can feel confident buying for the long-term. Mobile service providers are just one aspect of the telecommunication business. Other companies provide the infrastructure and resources that are necessary for broadband communication. Many of these businesses also have some direct-to-consumer services, but they all have significant resources invested in infrastructure. The demand for companies like these is anticipated to grow as society becomes more data-dependent. ( NYSE: TDS ) TDS provides wireless communication, devices, and access to customers across the United States. The company provides various communication services. Many investors are looking for TDS to get some big contracts as the big boys look to build 5G infrastructure in coming years. The bulls were stampeding on this stock until the company reported an earnings miss in Q4 2018. The stock promptly crashed, but now may be a good time to jump in, with PE at less than 9 the company is a bargain buy with good growth prospects. ( NYSE: AMT ) American Tower Corp. has an entirely different business model than any of the other companies on this list. They operate as a real-estate investment trust (REIT). The company’s revenues come from multi-tenant leasing. AMT owns a massive portfolio of over 170,000 different communications sites that they lease to various telecom service providers. REITs are usually relatively stable and pay high dividends. AMT has performed amazingly since the market sell-off in October 2018. Market sentiment is high as AMT’s stock price has continued to rise, despite reporting an earnings miss for Q4 2018. The stock price is at an all-time high, but the chart is showing no signs of a slowdown. ( NYSE: CTL ) Century Link offers a range of services, but broadband is the company’s bread and butter. This stock has been absolutely slaughtered as of late, and it is resting pretty close to its 52-week low. The company delivered a strong beat on its Q4 2018 earnings report. However, the stock fell when it announced that it was cutting the dividend by 50 percent. This stock has been absolutely demolished as of late, but there’s nothing inherently wrong with this company. They have excellent fiber assets that give them a bit of a moat, in terms of infrastructure. They also offer TV and phone service over their fiber lines. When this company bottoms, you could see some big gains if you’re in for the run back up to its previous highs. ( NASDAQ: CMCSA ) COMCAST is a large-cap juggernaut that has stakes in a variety of businesses. This company has a lot going on. In addition to its Xfinity broadband service, the company operates several different business divisions. COMCAST is the parent company of NBC and Telemundo. They also produce films under the names Universal Pictures and DreamWorks Animation. The company will be a big player in the showdown of the streaming services. The company will launch a streaming service in 2019, and Time-Warner and Disney are both launching streaming services of their own. The bears say, this company is over-exposed to outdated television models. They also point to $110 billion in debt as a big red flag for this company. A successful launch of their new streaming service will help address some of that exposure to traditional TV revenues. However, they have to deleverage or they’ll face balance sheet issues down the road. Why Invest in The Best Telecom Stocks Now? While many other technology forms are in new and shaky territory, telecom are a vital part of the modern economy. Telecom will continue to become more important as more and more of the world becomes connected. M&A amongst telecommunications companies has created companies with incredible exposures to the consumer. AT&T has over 370 million direct-to-consumer relationships across their wireless, streaming video, broadband businesses, and WarnerMedia. Telecom stocks are not flashy buys. However, every investor with a portfolio worth its salt should have some stake in the industry. 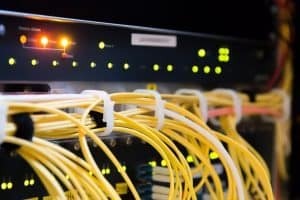 As the world evolves, it will rely even more heavily on telecom infrastructure and connectivity. As demand continues to rise, our best telecom stock picks are in prime position to capture market share.